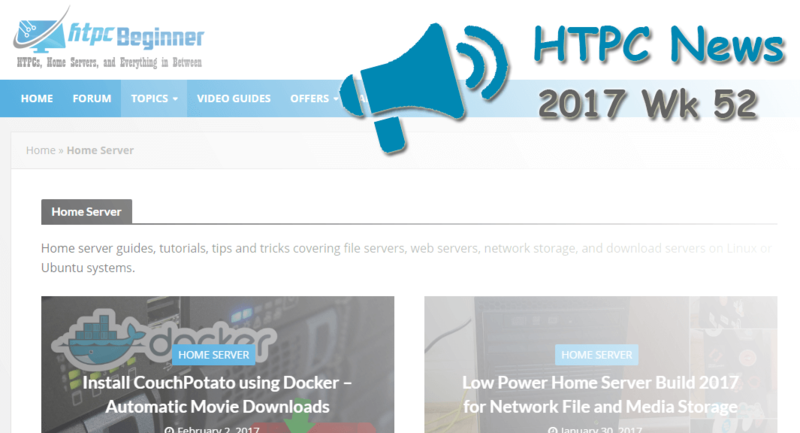 Welcome to the htpcBeginner HTPC News Roundup 2017 Wk 52. This week saw a Kodi come to the Xbox One, the Orange Pi boast its Android compatibility, and a slew of changes to the Netflix January 2018 lineup. Read on for the latest in HTPC news and updates! It's an excellent time to be alive for cord cutters. As USA Today reports, cord cutters have plenty of options to shed the shackles of traditional pay TV. From Sling, DirecTV Now, and PS Vue to Hulu TV and YouTube TV, there are tons of choices. Additionally, there's a lot of content freely available over-the-air with an OTA antenna. While there are loads of streaming services, Netflix is one of the most popular. Each month, there's a shifting lineup of content available on Netflix. For January 2018, a slew of “Batman” movies, the “Lethal Weapon” series, and the “Godfather” trilogy come to Netflix. Prepare to lose a few classics, including “E.T.” and “Gremlins.” Check out the full change log, and get to prioritizing your binges.